Many of our partners and clients have an astounding amount of data on how their customers interact with products; purchase history, purchase frequency, LTV, favourite products, and many others. With this information, they can send personalized emails, adjust user experience on their website and more. The next logical step would, therefore, be to apply this same knowledge to Facebook advertising. Unfortunately, it is not possible to apply this kind of personalized marketing at scale and with automation. We have decided to change that and are happy to introduce a new service, which enables our clients to match personalised messages to every single customer - Ultra Personalised Ads. How Do Ultra Personalized Ads work? a custom message that is created by a custom data source and our template editor. What are the advantages of our Ultra Personalised Ads? First of all, our system can work with an unlimited amount of deals and customers. Additionally, you can put more deals into one carousel ad. 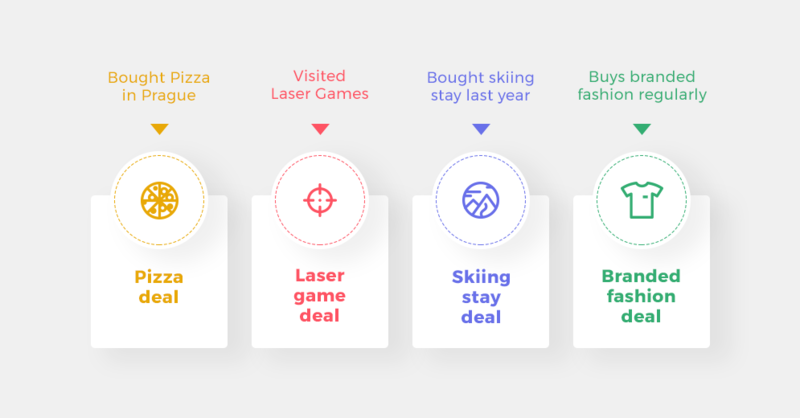 Finally (and the best part is), our system can use lookalike technology to find more potential clients for your deals based on your past customers! With the amount of data that companies have, it makes sense to only show ads to people who are the most relevant. This improves the results of campaigns from the client’s end, but it also improves the user experience and relationship with the client. More focused campaigns yield better results. Ultra Personalised Ads is the future of online advertising. If you have data about your customers that you would like to utilise, to make your advertising more relevant, contact us today. Marketing 4 minute read Make Your Slideshow Ads Shine - Add Multiple Images to Your Product Feed [EXAMPLES] Marketing 5 minute read Turn your product feed into a Hero Feed! Technology 5 minute read Easily scale video ads production for e-commerce!